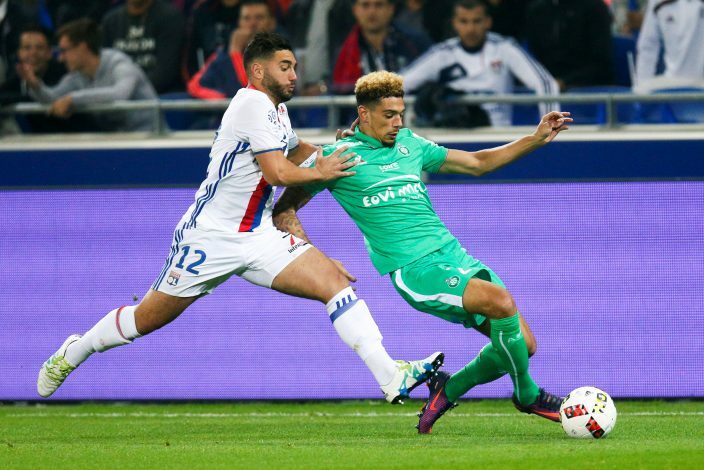 Manchester United manager Jose Mourinho has reportedly told his scouts to monitor the development of Saint-Etienne’s 25-year-old right back Kevin Malcuit – reports M.E.N. The right-back feature for the French club in both of their Europa League tie against Manchester United and did a pretty well job. His pace was upto the mark and with that, he managed to keep Henrikh Mkhitaryan and Marcus Rashford off the guard. The 6ft defender – with his stellar performances – has said to have won Mourinho’s eye and the Portuguese tactician might make a move in the summer if the scouting team gives a thumbs up. Furthermore, it is well understood that United will look to sign a defender in the summer – right back in particular – as Valencia is the only reliable option available. The 31-year-old Ecuadorian did renew his contract a few months back, but he isn’t getting any younger and with Matteo Darmian falling out of favour, targeting Malcuit does make sense. The 25-year-old started his senior career with Anthony Martial’s former club AS Monaco and was snapped up by St. Etienne for a mere fee of €800,000 for two years. He has played 19 games for the French outfit in Ligue 1 this season and has registered three assists to his name. Furthermore, earlier this month, it was reported that West Ham United were linked with the player and were ready to offer a fee of around £10 million for his signature, but unfortunately for them, nothing materialized. On the papers, Malcuit’s signing does make sense, but with all due respect, United need a player of a bigger stature, or if not that, they need an experienced force and in that case, Nelson Semedo will be a perfect deputy to Antonio Valencia rather than Malcuit. Malcuit, on his part, has been a stalwart presence for his team, but his two reds this season depicts a different picture. Any such suspension in the Premier League and Mourinho will be in trouble.